Funds for all these extras are raised mainly through membership dues and book sales. Book sales are held from September through June on the second Saturday of each month, 9 A.M. – 2 P.M.
An all day, weekday, book sale is held each August. Plus, outside the Friends Booksale Room there are collections of books that can be purchased anytime. All dues and gifts are tax deductible. Visit or call the library for more information. 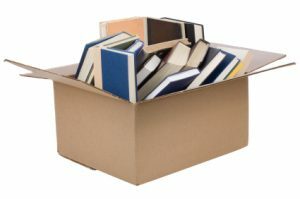 Have a box or two of books around the house collecting dust? Why not donate them to The Friends? Money from the sale of your donated books goes toward supporting many Library Programs.